About ten years ago when I was in uni I came up with the idea of adding pepper onto my salted popcorn to create a new flavour. At the time I lived in halls around the corner from the Leicester football ground. Every Saturday thousands of football fans would walk past my window on the way to the game and I joked with my flatmates that we could create new and exciting popcorn flavours and sell it to the fans. That never happened and probably wouldn't have appealed to football fans but who would have thought 10 years later quirky popcorn flavours would be the next big thing in the UK. The USA had already conquered this but in the UK up until about 2 years ago popcorn was salted, sweet or toffee. Now they have all sorts of odd flavours like chilli and lime, wasabi, sweet and salty and BBQ! Being a total popcorn fan I've noticed all these new flavours popping up and have been excited to try something new, but every time I come to the same conclusion, I'm a salt girl, plain and simple my favourite popcorn is salted. Popcorn is no longer a cinema only treat, you can find large bags next to the crisps, multipacks and individual packs trying to tap into the crisp eating market. 1. I get kernels stuck in my teeth, in fact as I type one has wedged itself between my tooth and my gum! 2. It is impossible to eat neatly unless of course you literally put one piece in your mouth at a time.....but who does that?! I make such mess eating popcorn. As I stuff my mouth full the popcorn flies off in every direction including the floor, the table and down my top! But I love it! I've even been spending the past hour googling popcorn crochet/knitting patterns and looking through the various popcorn images on Pinterest. 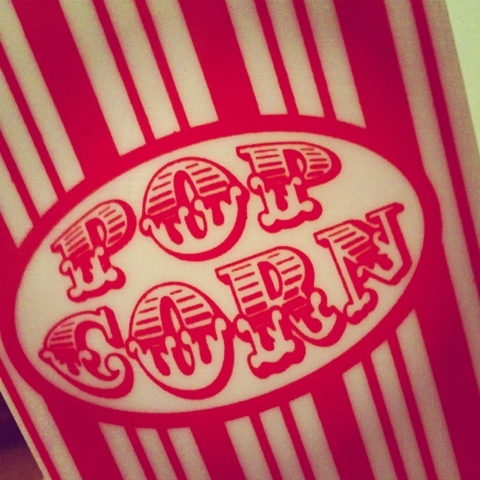 Quite simply I'm popcorn mad!!! What flavour do you like? Yikes! I don't know if I'm allowed to comment... I don't really care for popcorn. I have noticed the many, expanding flavors and find it interesting. Even the movie theaters offer several different seasonings to top off your popcorn with. Hi Camilla. Or do you go to Camilla-Erika? Or Erika? Anyway, it's good to be here. 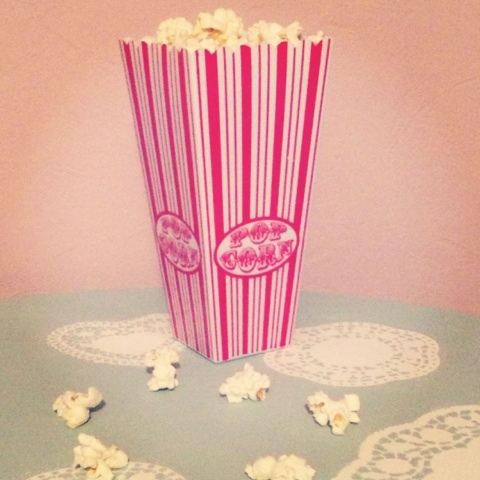 I'm in Beth's blog challenge, and as I love popcorn, I came for a visit! My husband and I have microwave popcorn a couple of times a week - just regular. We get it from our Dollar General Store (Orchard Valley if you're in the U.S.) and it is consistently good. My other favorite is Crunch 'n' Munch Buttery Toffee. It has peanuts, but it doesn't have that burned flavor of Cracker Jacks. Also, I'm occasionally able to get Kettle Corn. I don't know what they do to it, but it's both salty and sweet and very crisp. It's mostly sold at fairs and festivals, but every once in a while I'll find a stand somewhere. It's hard not to eat the whole bag in one sitting. I'm not someone who is always seeking new flavors. I tend to find favorites and stick with them. I think I'll have to go and pop some corn! Thanks for a fun read. 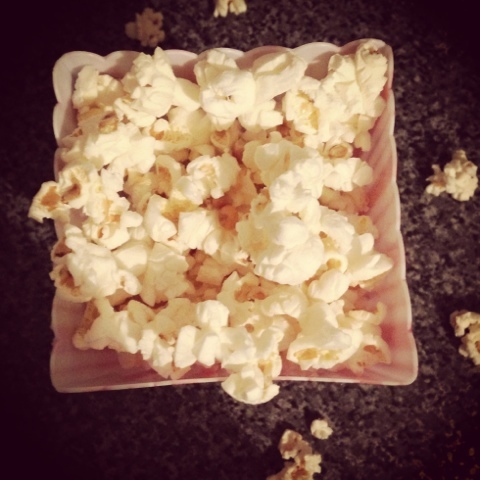 I'm a bit of a sweet popcorn girl rather than the savory but I think that's because I hark back to the days when popcorn was an affordable treat in the cinema.